BeaTea.K (pronounced B T K, a pseudonym for Betty Kriel, the owner) is a gift store selling unique/one-of-a-kind handmade, re-purposed and altered items, made by Betty and friends. In addition, the store also offers a wide variety of hand crafted fair-trade goods from around the world as well as “made in the USA” gifts. 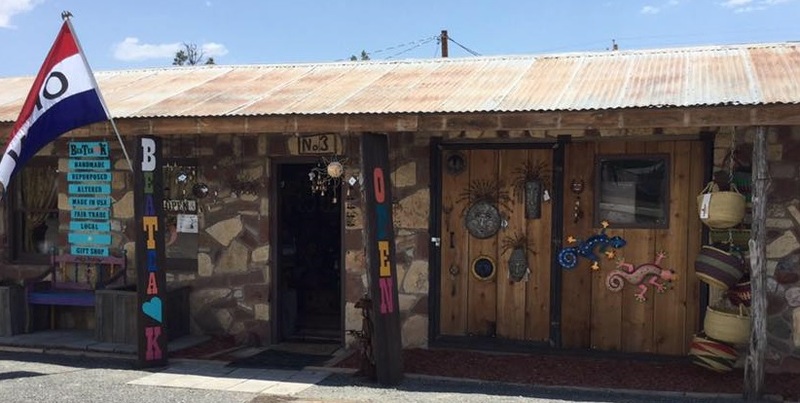 Items in the store include art, clothes, jewelry, baskets, jams and jellies, kitchen ware, stationery, wind chimes, metal art, felted goods, textiles, wall art, walking sticks, natural soaps, and much more. BeaTea.K, shop 3, is in the Davis Emporium (the local “mini mall” which once was a motel!) on the corner of Cemetery and State Streets, Fort Davis, TX – opposite Stone Village Market and next door to the Humane Society Thrift Store.